Counseling older adults is not equivalent to counseling the general population, and specialized skills and knowledge, as well as sensitivity to the contexts in which older adults live, are essential in working successfully with this population. 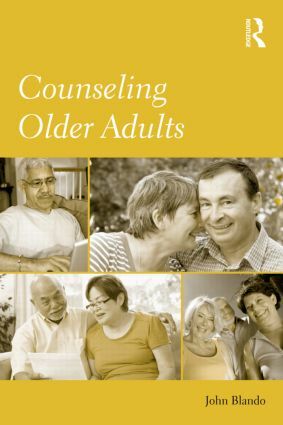 This text provides an introduction to gerontological counseling, integrating the basic skills of working with older adults with theories of counseling and aging. Specific counseling issues discussed include mental health counseling, career counseling, rehabilitation counseling, and family counseling. Along with these, important contextual factors such as race/culture, social class, social justice, spirituality, Alzheimer’s and other dementias, and family issues are considered in light of the latest research. Each chapter contains case studies, discussion questions, a glossary, and suggestions for further reading to reinforce the material presented.